There’s something so magical about snow globes, especially around Christmas. I remember being mesmerized by all the snow globes in a little Christmas shop in Indiana when I was a child. One of my daughters has always loved snow globes and is amassing a beautiful collection. 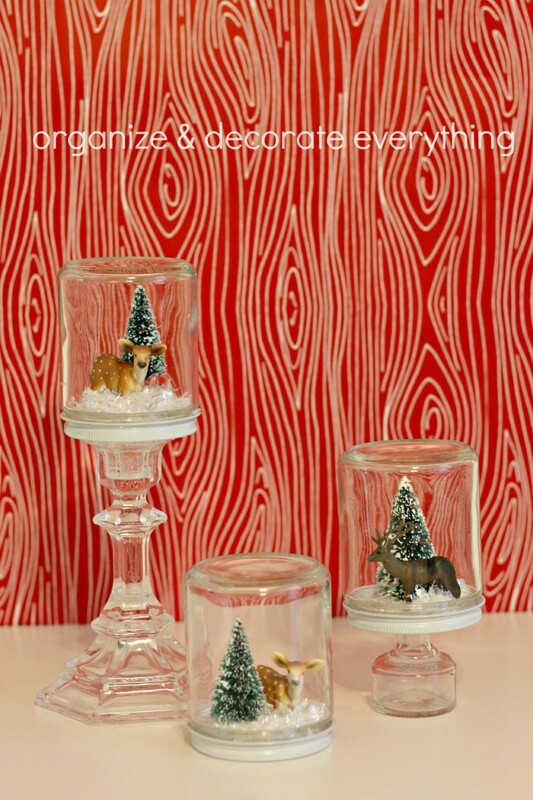 These Waterless Snow Globes are my version of those Christmas snow globes I remember, only I’m recycling supplies I already had. 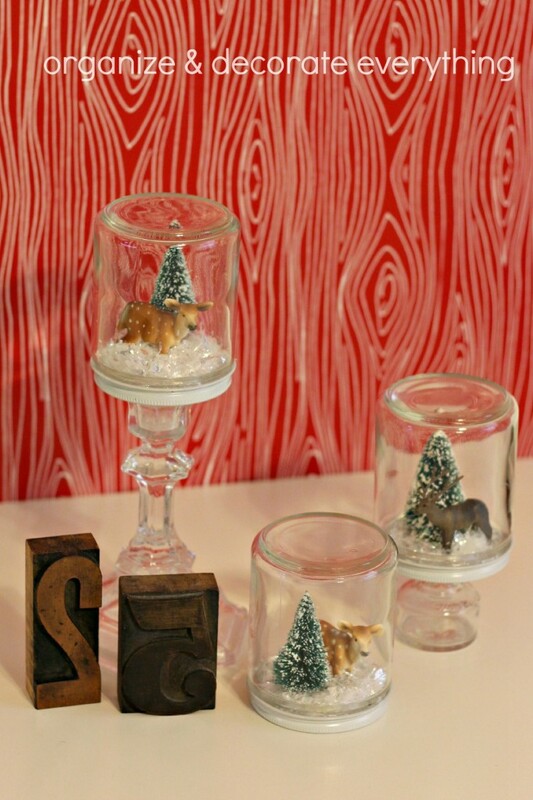 This post is part of the 31 days of Christmas Ideas series. Click over to the main page to see all of the 31 Christmas posts (they will be added daily). Affiliate links have been provided in the supplies list for your convenience. You know how I like to use things I already have as often as possible? I was able to gather these supplies from my home and Christmas stash. There aren’t many supplies so you probably already have everything you need around your house. I have a Christmas village that I don’t have room to put out right now so I’m using some of the trees and deer from that. 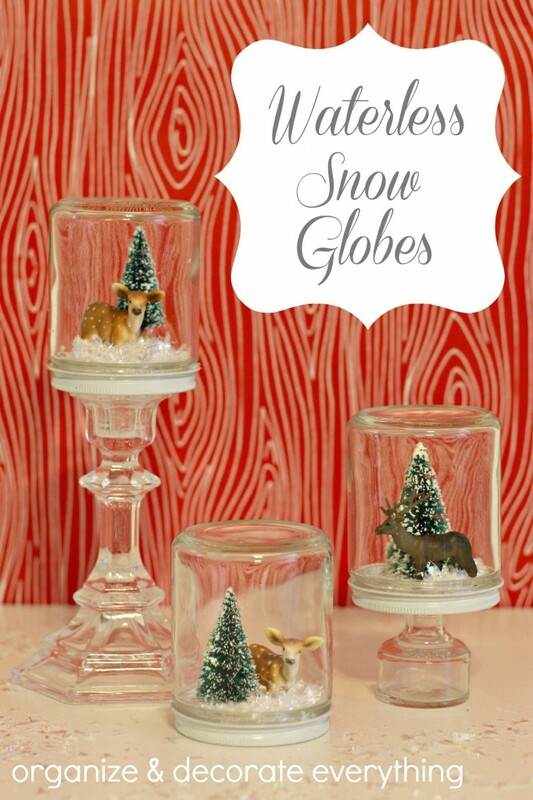 Another great thing about this project is that it only takes about 15 minutes to create these snow globes for a fun Christmas or Winter scene. 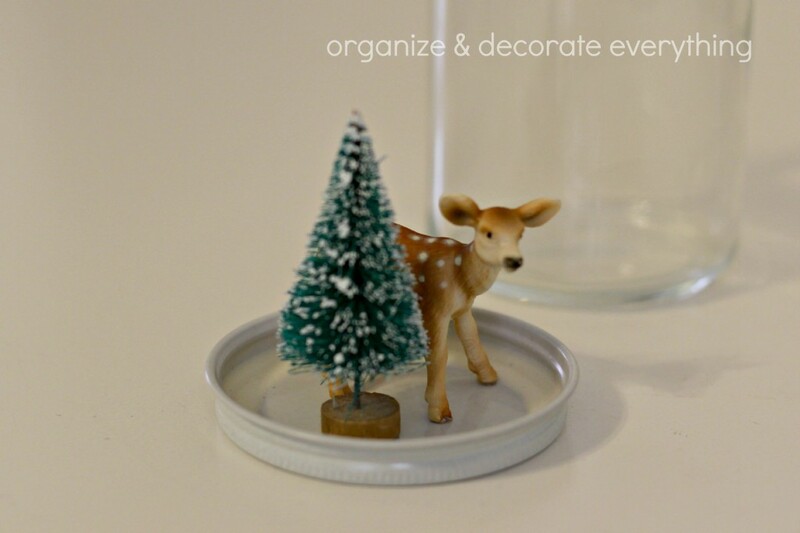 Position the deer and tree on the lid then hold them in place with a small amount of hot glue. 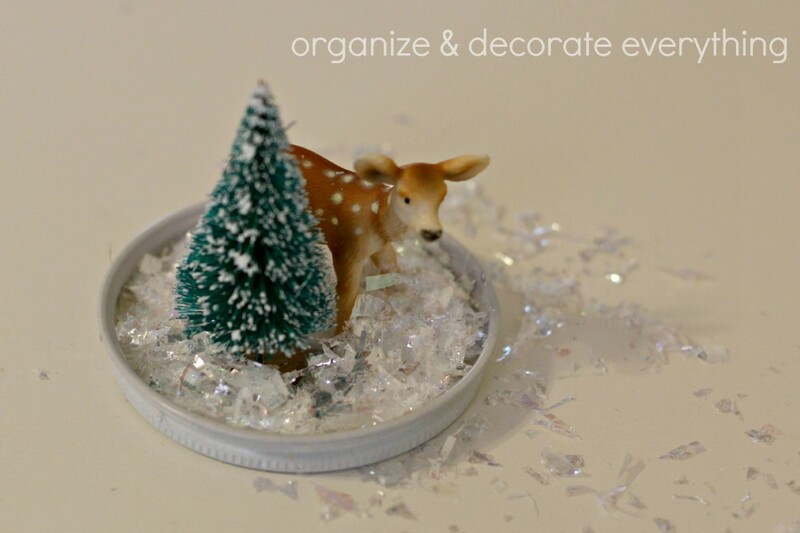 Make sure they’re secure then add the glittery snow. Pile it on as high as you like. Lastly screw the lid and jar back together. I wanted to vary the heights of the trees and animals so I stacked a few extra dowel pieces to the tree. It will be hidden by the snow and give it the height I want. I made the deer taller by gobbing on hot glue and letting it cool between each application. Once the globes were finished I placed them on a candle holder and old bottle to vary the heights. Use candle holders you already have. You can also add washi tape, ribbon, or paint to the lids to give them more color and interest. They’re so fast and easy to make and turn out beautiful. 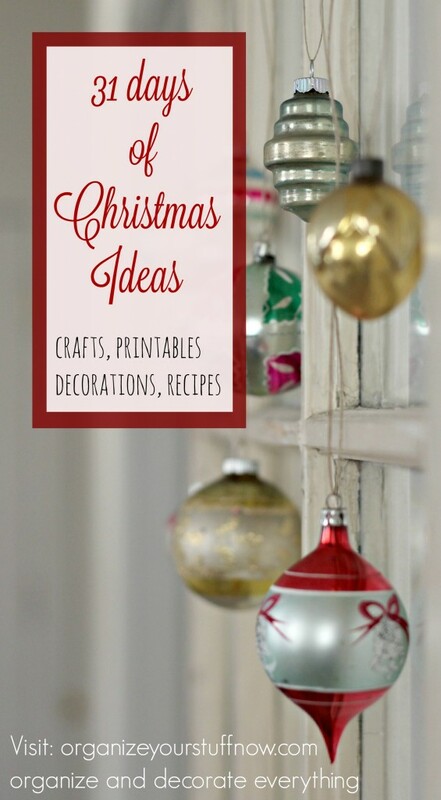 Please join me tomorrow for the next 31 Days of Christmas Ideas post. 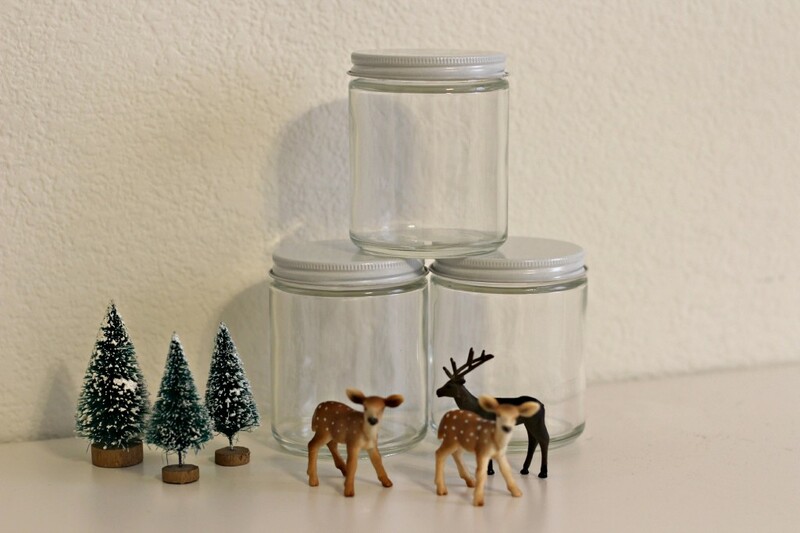 I found this link at Pinterest – love this idea, I have the trees and the deer, now just need to save up a couple of jars! Thanks for sharing. These are so cute and what a great idea to leave the water out! I “attempted” some homemade water globes a LONG time ago using baby jars and it was so difficult because of the water. They didn’t turn out well at all, but these look great and I really love the added touch of putting them on a candlestick or riser! Very cute! 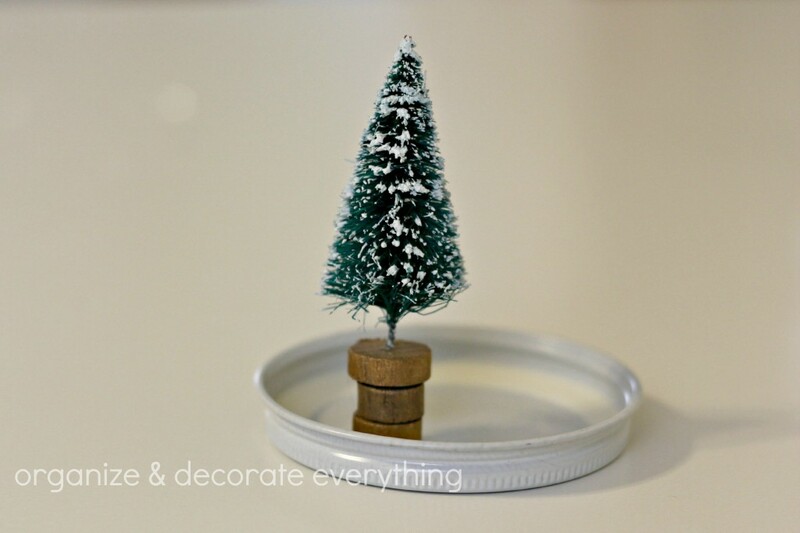 I’ve seen several ideas with the little trees this year and can’t wait to get my hands on some. Yours are great. Waterless is a good thing, much less opportunity for much bigger messes :-). Great ideas with hardly any mess either!